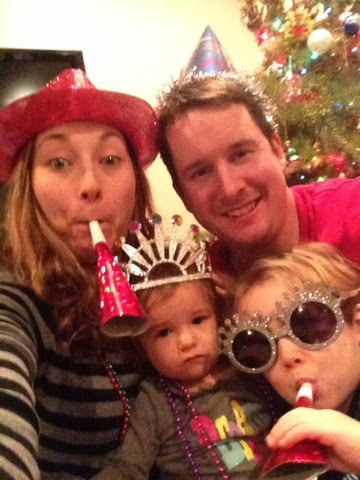 This year we decided to stay home for NYE and just hang out. The hubs went to a bowling tournament during the day and I took the kids out in the freezing cold to get party decorations, you know, for our party of 4. 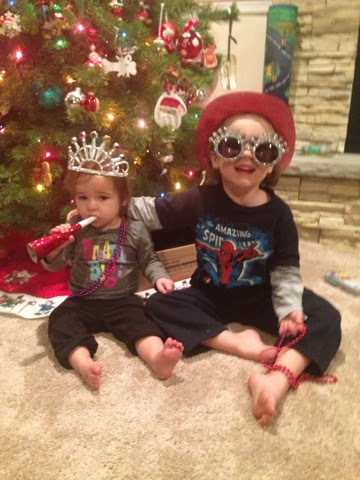 Not the best idea to wait until NYE day to get NYE stuff, went to Target and the Dollar Store, and mostly everything was gone, I was able to score one hate and the rest of the stuff was meant for mardi gras, it still worked, right? Ella is just so excited can't you tell? 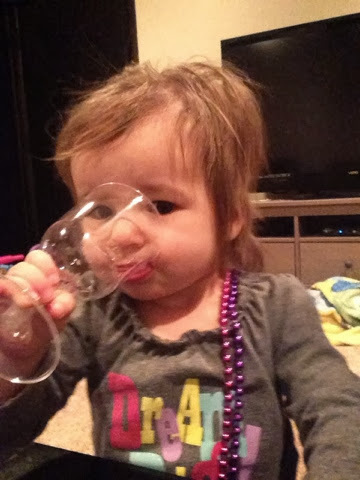 We toasted to the New Year before Ella went to bed for the night, she was loving her sparkling grape juice! 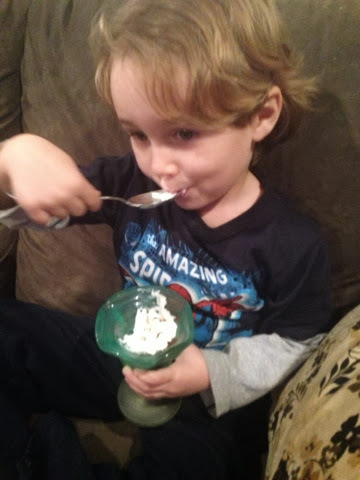 We finished the night with ice cream sundaes and then it was off to bed for Brayden, and I must admit I passed out on the couch way before midnight. It was still a fun night with my little family!! Looking forward to good things in 2014.